During the 1970s the Red Army Faction, also known as the RAF, assassinated and kidnapped a number of important figures in West Germany. They also set of a number of bombs at major buildings and U.S. bases. On 30th July, 1977, they attempted to kidnap Jürgen Ponto, the chairman of the Dresdner Bank board of directors. 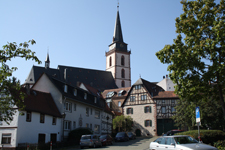 The attempt when wrong and instead he was shot in his own home in Oberursel. 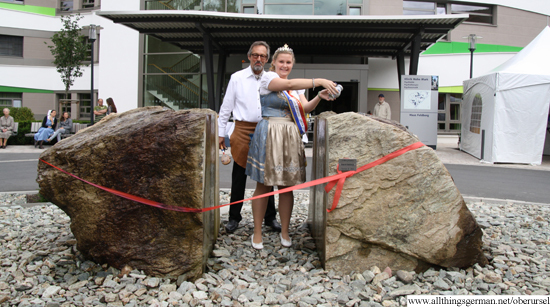 Saturday (14th June, 2014) saw the dedication of the new Feldberg Fountain (“Feldbergbrunnen”) take place in the grounds of the Hohe Mark clinic. 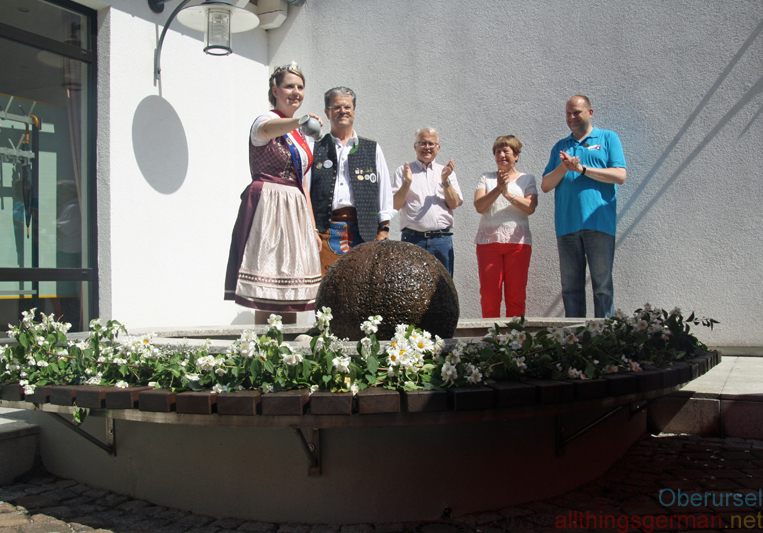 The ceremony saw the fountain queen, Carolyn II., pour a small amount of cider over the fountain. 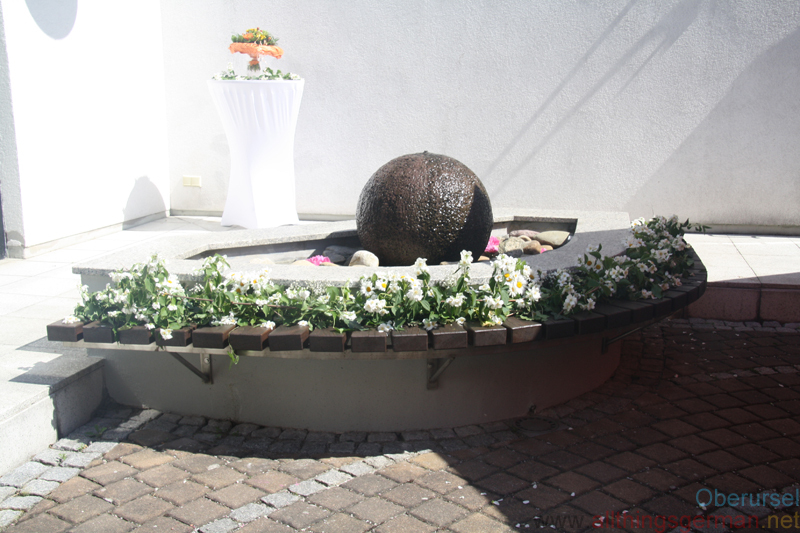 The fountain is made from a piece of Taunus Quartzite that came from a quarry in Mammolshain, part of Königstein. Not only was the stone cut in half to make the fountain, but 50cm of it is actually below ground. 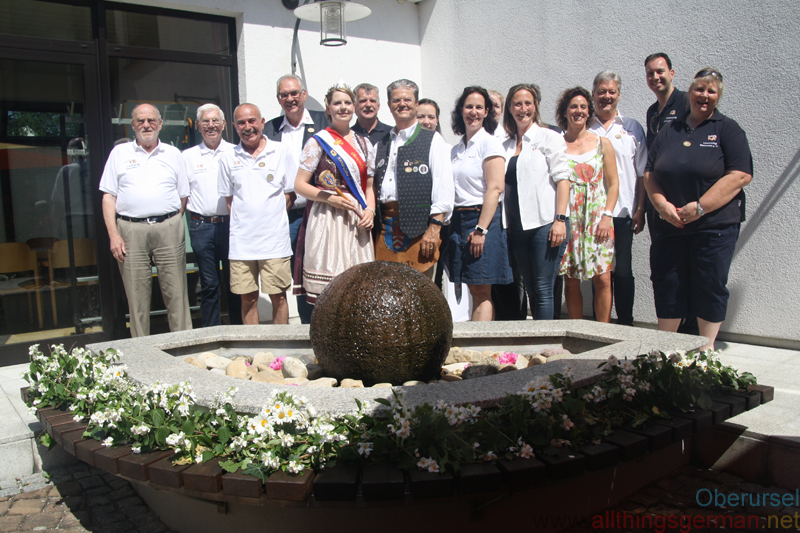 This weekend sees the annual Brunnenfest (Fountain festival) in Oberursel return after missing a year due to the Hessentag. The festival runs from Friday 1st June until Monday 4th June 2012. There will be music on stage at the Markplatz from Friday evening onwards and throughout most of the weekend, with a funfair atmosphere at the Bleiche and lots of stands selling food and drink inbetween the Bleiche and the Vorstadt. An area for children called the Kindermeile will be open on Saturday afternoon from 3pm, and a yellow duck race on the Ursulbach on Sunday afternoon. The festival closes at 10.30pm on Monday evening with a firework display. 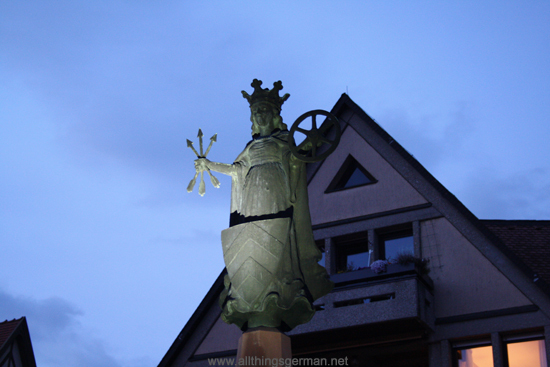 The St. Ursula fountain at the market square in Oberursel. The photo was taken at night during a full moon.